The school will be helping out Marie Curie with their Great Daffodil appeal by selling daffodil badges in the office. 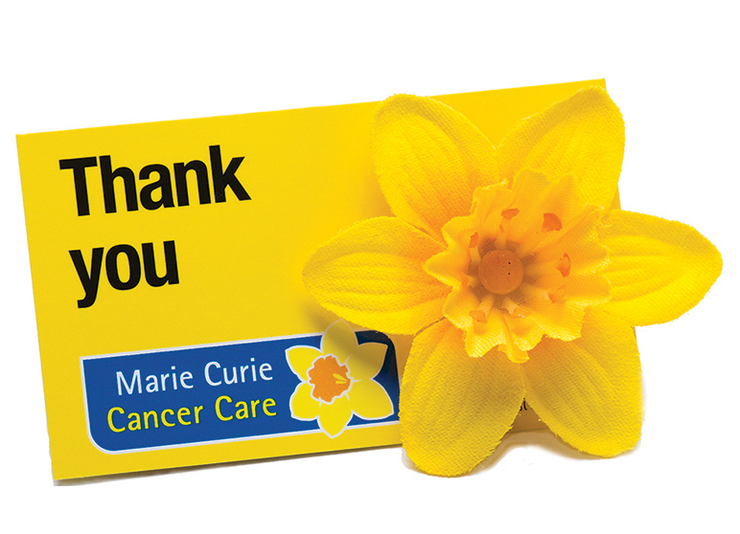 Marie Curie have suggested a £1 donation for the badge, but any donation would be appreciated. If you would like to donate and have a badge, your child can come to the office with their donation, or alternatively, you can pop in after dropping off or before collection of your child. Some information on what your donation can do. Marie Curie help more people living with a terminal illness to get the care and support they need. £20 could pay for one hour of vital nursing care for someone living with a terminal illness in the comfort of their own home. £90 could pay for half an evening’s care in a person’s home when they need it most. £180 could provide nine hours of nursing support in someone's home through the night, bringing the expert care and comfort families need.